The Boulder County Paranormal Research Society conducts scientific, objective investigations to assist, reassure, and support those living with unwanted alleged paranormal activity. We aim to further the field of paranormal research by using rigorous protocols to research, document, and analyze scientific data. BCPRS is an all-volunteer organization which never charges for its services. We maintain strict confidence if our clients do not wish to be publicly identified. Most of our investigations occur at a private residence or property. Be it a home, cabin, apartment, or family farm, our team is ready to assist you in finding the answers you need. We will arrive on time, prepared and ready to help determine if you have a legitimate haunting. We believe that most “hauntings” can be explained by non-paranormal causes. We’ll attempt to find these causes to put your mind at ease. If it does appear you have a haunting, then we will provide you with all evidence collected and answer your questions in a timely manner. We pledge to be there for you even after the investigation should you need us. We frequently investigate offices, old hospitals, hotels, museums, and many other business and historical locations to confirm or deny rumors of a haunting. BCPRS members are always happy to come speak at your function. We’ll discuss our investigation methods, show you some of the evidence we’ve collected, and answer your questions, with just a little entertainment thrown in for good measure. Our team will conduct in-depth research into the history and background of every location investigated, in order to better provide a more complete picture of possible explanations for paranormal events. If you have unusual photos, video, audio, or other evidence you think might be paranormal, we can help you identify possible sources and explanations. 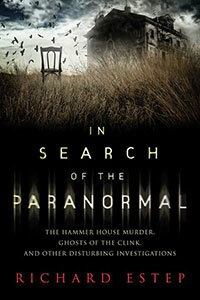 Do you have a paranormal investigation team? We can help you get started by providing you with the footwork you need to get your group up and running. We are always ready to listen to your questions, offer consulting and do what we can to assist you through second opinion evidence review. We are also available to come assist you at your investigations if you need additional trained staff. Just contact us.